In many cases, when we’ve got metal items to dispose of, we do one of two things: throw them in the trash or take them to the dump. What we don’t often do with these metal items is recycle them. 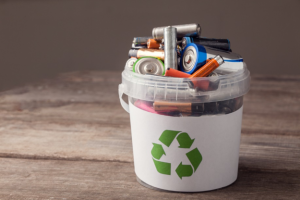 There are a number of benefits associated with recycling metal, some of which are economic, some of which are environmental, and some of which are a bit of everything. Read below to understand the advantages of metal recycling in Chicago. As an American citizen, the stronger the United States economy is, the better off you will be. This is why you should recycle your metals as much as possible; metal recycling helps the economy. Not only does the metal recycling industry create hundreds of thousands of jobs, it also generates hundreds of billions of dollars for the US economy on a yearly basis. In essence, metal recycling is a huge part of what makes this country operate. The simple fact of the matter is that metal ore extraction is very bad for the environment. Because a bevy of high-powered machinery is needed to extract metal, an astounding amount of fossil fuels are burnt during the extraction process. The result? Staggering carbon emissions. Carbon, or greenhouse gas emissions are hugely detrimental to the environment, damaging the ozone layer, causing pollution, and acidifying the ocean. It would be in the best interest of all of the human race to reduce carbon emissions as much as possible. While metal recycling won’t entirely nix the carbon emissions associated with metal manufacturing, it will substantially lower them. In addition to reducing greenhouse gas emissions, metal recycling also helps to reduce overall energy consumption. When metal ore is mined, it requires a huge volume of fossil fuels to be burnt and puts a great deal of stress on the electric power grid. The costs associated with such staggering energy usage can be astronomical. Manufacturing with recycled metal instead of fresh metal requires a lot less energy to be used. This equals huge cost savings. When less energy is used to manufacture goods, and when resources are more plentiful, goods can be sold for smaller amounts of money. This is why metal recycling reduces the price of metal resources. Recycling metal creates an essentially endless stream of the resource, allowing it to be used over and over again. Because it’s no longer rare, it can be sold for much lower prices overall. In this sense, anyone who buys anything will benefit from metal recycling. While most of the metal reserves in the world are still fairly plentiful, they will only stay that way if metal recycling is kept a priority. After all, if metal can be used over and over again, there will be no need to draw from these reserves. Metal is a resource which, after it’s been used up, cannot be mined any further. We must make the most of it while we still can. Doing so will reduce the price of goods, help the economy to thrive, and keep the environment safe. Interested in Metal Recycling in Chicago? Are you in possession of metal items? Looking to engage in metal recycling in Chicago? If so, we here at Central Metal Recycling are the people to call. We recycle metals of all kinds, from aluminum, to steel, to brass, to e-scrap, and more. Our team of recycling specialists would be glad to answer any questions you might have.